A: shadywady is not a marriage bureau nor any company providing paid services for marriage. Shadywady is just a free website providing a free and open source platform for Pakistani singles to post and view marriage proposals. We are not involved in any process, you have to choose whats best for you. Q: How to use shadywady? A: Shadywady is a free marriage proposal website, which is quite friendly. It works in two ways. Please click here to watch detailed video about how shadywady works. Q: Is shadywady User Friendly? A: YES! As per google (pagespeed/insights/) shadywady is 100% user friendly for each and every kind of device. Q: How much money do i have to pay for shadywady? Q: Why my proposal is not getting response? A: You will get response on mentioned phone number or email address, if someone is interested in your proposal. For better or genuine response we always recommend using original numbers, pictures and email addresses. A: We are not involved in any process, you have to choose whats best for you. Please note again, that shadywady is not a marriage bureau nor any company providing paid services for marriage. Shadywady is just a free website providing a free and open source platform for pakistani singles to post and view marriage proposals. We try our best to make sure only original proposals get approved. And if you find any fake proposal on our website, please let us know by clicking "Report Abuse" under that proposal's picture. Q: How much time it take to get married via Shadywady? A: In some cases it takes days other takes months, it all depends on your luck. 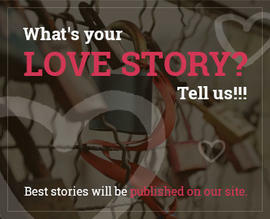 We post your proposal, on front page, share it on facebook. Q: How to find Boy Rishta Proposal ? And find suitable boy rishta accordingly. If you are still unable to find any perfect match for yourself, please post your own proposal on Shadywady. Q: How to find Girl Rishta Proposal? And find suitable girl rishta accordingly. If you are still unable to find any perfect match for yourself, please post your own proposal on Shadywady. Thank you. Q: Would you post marriage proposal for me? A: Yes we would, You may post your proposal for free on our website, we dont charge anything for that. If you are facing any difficulty, please send me some details on our facebook page along with pictures and telephone number. We will post your proposal on our website. And also latest 2,3 pictures. Q: How May i Contribute? A: If you are satisfied with our services, please share us www.shadywady.com with your friends.